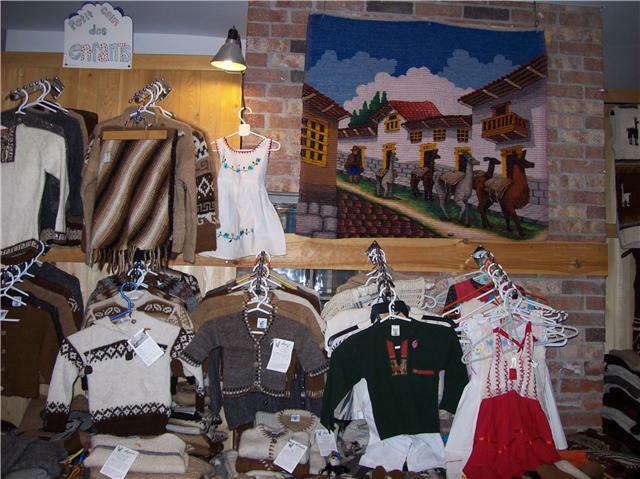 The Alpaqa boutique offers handmade knits and weavings made with the wool of an Andean camel, the alpaca. This wool is uniquely soft and warm as well as being very strong. 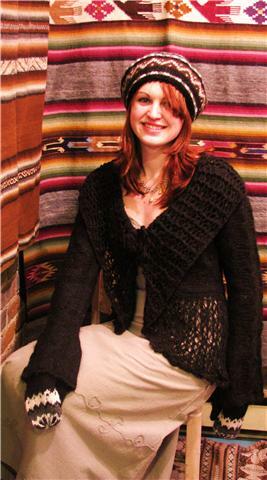 The Alpaqa boutique offers an exceptional variety of wools, double knits, sweaters and jackets in different models and natural colors, in sizes ranging from infant to extra-extra large, with or without sleeves; typically Peruvian ponchos in different shapes and styles; blankets to dream of, thick, warm and comfortable on top of being decorative; wool carpets, tapestries and murals in rich and varied colors; shawls, scarves, tuques, berets, balaclavas, hats, gloves, mittens, socks and leg-warmers all available in a wide range of models, colors and sizes; also bags, handbags and special fabrics. 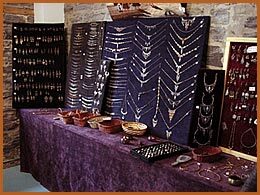 Besides Alpaca wool articles, we have a wide selection of handmade musical instruments, carved gourds, pottery, dolls and other new and old decorative objects as well as magnificent Peruvian jewellery. All these products are of superior quality and easy to care for. Moreover, they neither shrink nor lose their shape when washed. All these clothes are designed to last a long time while still providing unequalled comfort. Wash gently by hand (If absolutely necessary on a REAL delicat cycle but we do not advise this) Wash in warm or hot water. The important is not to over rub. You may use soapflakes, soap, shampoo or detergent. Let drip dry then set out on a flat surface. Do not use dryer.